The centerfire single-shot rifle has an extensive history among hunters looking for a dependable and accurate game-getter, without having to spend more than necessary for good quality and basic function, and for 2017 we're introducing our brand new line of break-action one-shooters to carry on that history. 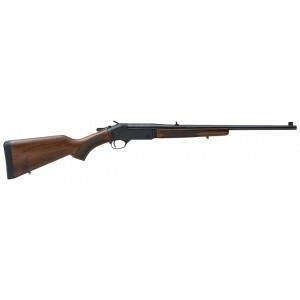 Available with matte finish on steel frames and a highly polished finish on hardened brass frames, these elegantly simple rifles feature 22” round barrels, fully adjustable folding leaf rear sight and brass bead front sights we use on the lever actions, a drilled and tapped provision for optional scope use, walnut front and rear furniture, a curved pistol grip wrist and solid rubber recoil pad on the steel versions, a straight English wrist and brass buttplate on the brass rifles, and a non-ejecting case extractor. Covering everything from coyotes to moose, in steel the calibers include .223, 243, .308, .357 Mag, .44 Mag, .30-30 and .45-70. These new rifles use a familiar locking lever on top of the frame, behind the external hammer spur, to break the barrel open. We've added our own touch here though- the lever can be pivoted either left or right from its center position to unlock, which works well for both lefties and righties. 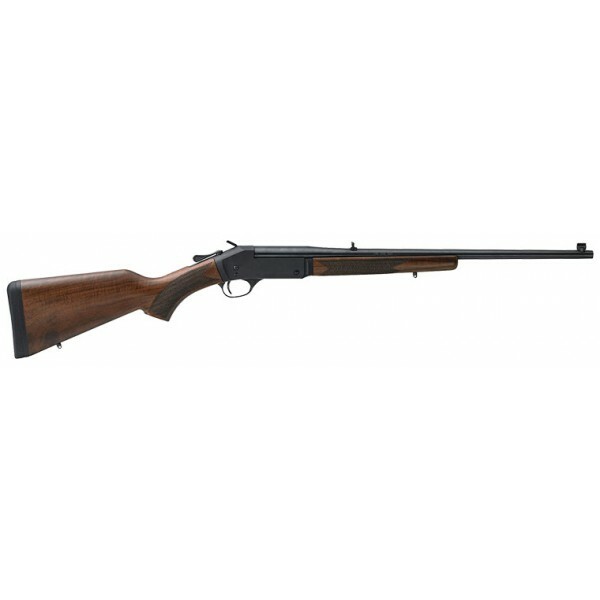 The action has no external manual safety; it uses a rebounding hammer that can't touch the firing pin unless the trigger's deliberately pulled, and an interlock system that doesn't allow the barrel to open if the hammer's cocked, or the barrel to close if the hammer's cocked while it's open. Quick to load or unload, safe to carry, and simple to operate. These single-shot rifles are aimed at the challenge of hunting with only one round on board, and hunters who prefer the uncomplicated durability of the design. Make no mistake though- while some might consider a single-shot an entry-level proposition, we build these to the same high standards as all of our fine centerfire rifles, and not to be a budget model in any sense of the word.